Among the Iranian Isfahan known as Esfahān nesf-e- jahān that means (Isfahan is half of the world). To most of them Isfahan is like a piece of jewelry that despite the historical fluctuations in the area has still retained its luster and glory throughout the centuries. The city is so vibrant that it seems as if it has been born today and yet it is so original that it looks as though it has always existed. The city’s rich culture and beautiful nature are in such perfect harmony that one seems to be a reflection of the other. Isfahan is an ultimate expression of the Iranian-Islamic Culture. Isfahan is called the city of Iranian handicraft and traditional arts. These works of art comprise a major portion of Iran's exports, particularly to Europe. 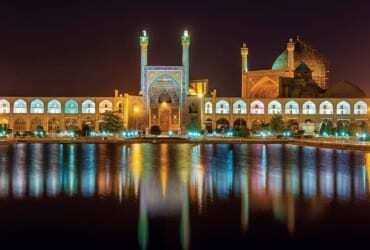 For those who travel to iran pr interested to visit Iran, Isfahan is a MUST SEE city. 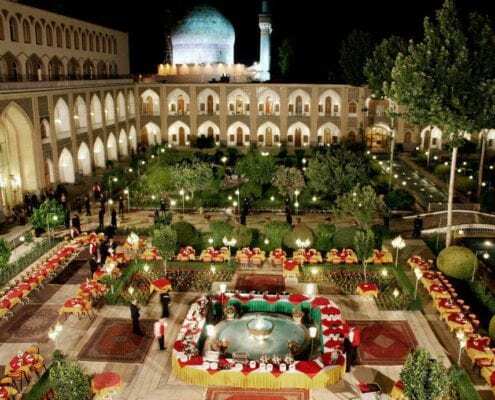 Here's a list of our favorite hotels in Isfahan. This list is based on our personal experiences and/or reviews online. 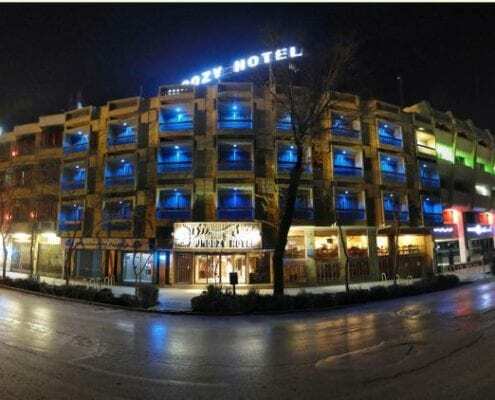 Abbasi hotel is the best hotels in Isfahan situated at the heart of the city. This complex was built at the time of king Sultan Hossein of Safavids about 300 years ago. King Sultan Hossein attributed this magnificent complex of building to his mother. 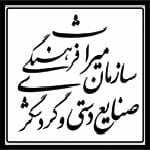 That is why; it is called “the school and caravansary of Madar-shah” (which means king's mother). In reconstruction of the caravansaries, the main attempt has been to preserve the general shape. Madar-Shah caravansary likewise owns a square courtyard in the middle, each side of which amounts to eighty meters. 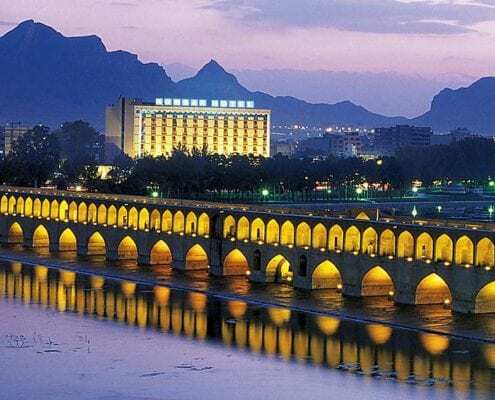 Five-star Isfahan Kowsar Hotel is located on the beautiful edge of ever living river of Zayandeh Rood near the historic bridge of Siosepol. This hotel was opened with 130 rooms as Sherayton Hotel in 1972 and after one year, it was renamed as Korosh Hotel. 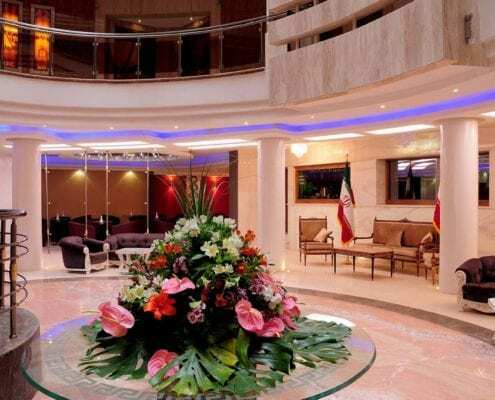 After Islamic Revolution, Korosh hotel was renamed as Ghods Hotel and after one year, it was renamed Isfahan Kowsar Hotel until now.International Parsian Kowsar Hotel was reconstructed in 2004 to develop its qualitative and quantitative services. 40 rooms were added to it. Now it has 170 luxurious rooms and suits. Safir Hotel, 4 Star, Amadgah Street Safir hotel is on Amadgah Street, only a few steps from Chaharbagh, one of the main streets of Isfahan. Built with a modern architecture, Safir is close to the traditional bazaar of Isfahan and Chaharbagh School. By staying at Simorgh Hotel, you’ll be at walking distance from the historical landmarks: Siose pol, Zayanderud, Chehelsotoun Palace, Naghsh-e-Jahan Square and all of its historical sights such as Ali Qapu, Gheysarieh Bazaar, Imam Square, Sheykh Lotfollah, and main shopping centers. Safir was completely renovated on 2013 and includes lots of amenities like restaurant and café, gym, and swimming pool. 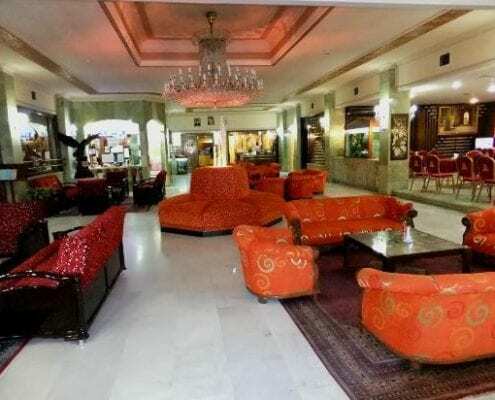 This elegant 4 star hotel is designed in a traditional Persian style and located on one of Isfahan’s most famous and historical streets called “chahar bagh”. It is walking distance to many of the historical sites of the city and surrounded by shops and restaurants. You couldn’t ask for a better hotel to stay while staying in a city designed with beautiful gardens, exquisite mosques and ancient teahouses. 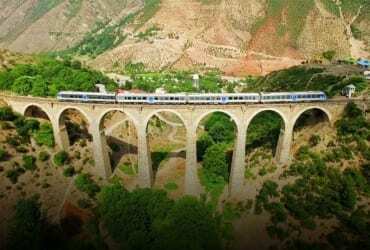 Iran Tours From Singapore – Can Singaporeans Travel to Iran? Are there Mummies in Iran?